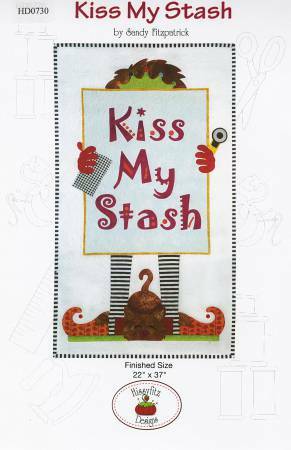 Kiss My Stash kit- complete laser cut/pre-fused. Kit includes all the fabrics for the op including binding. Finished Size 22" x 37".